Greek yogurt is enjoyed by consumers from all over the world because of its texture, taste, and protein-packed punch. However, attaining that perfect formula produces huge volumes of food waste in the form of liquid whey. Researchers in the United States and Germany have now discovered a way to use bacteria in order to turn the leftover acids and sugars from Greek yogurt into molecules capable of being used in safe feedstock additives or biofuels. Their work has been featured in the December 13 issue of the journal Joule. To be sustainable, you want to convert waste streams where they are made, and upstate New York is where the cows are, where the dairy farmers are, and where the Greek yogurt craze began in the United States with Chobani and FAGE, that's a lot of acid whey that right now has to be driven to faraway locations for land application, but we want to produce valuable chemicals from it instead. Lars Angenent, senior author, environmental engineer and microbiologist at Cornell University (United States) and the University of Tübingen (Germany). Waste whey from Greek yogurt production is mostly produced from the familiar milk sugar lactose, the fermentation product lactic acid, and the fruit sugar building block fructose. 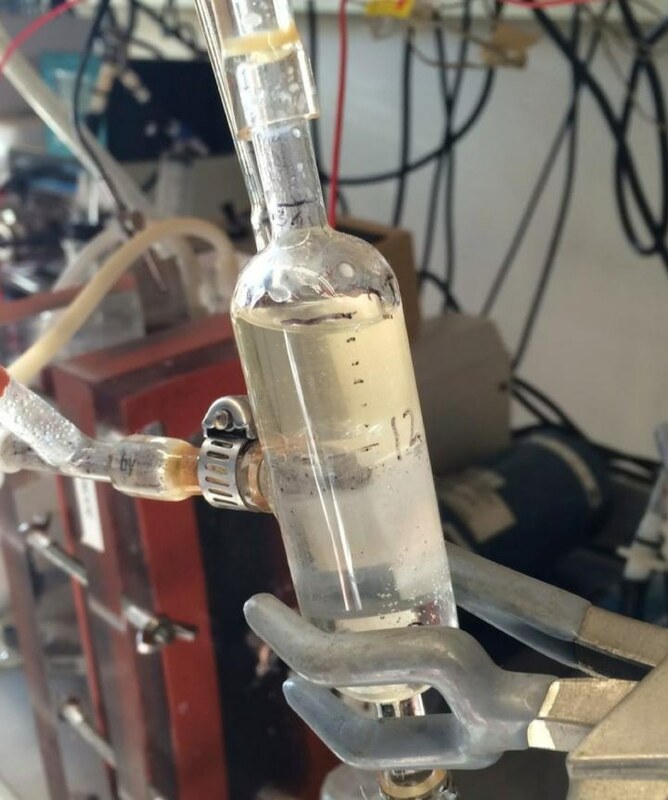 The researchers make use of bacteria to convert this mixture into an extract comprising of two more useful compounds: caprylic acid (n-octanoic acid) and caproic acid (n-hexanoic acid). Both of these compounds are considered to be "green antimicrobials" capable of being fed to livestock in lieu of antibiotics. Or, with energy requirements in mind, additional processing could stitch the seven-, six-, and eight-carbon backbones of the acquired molecules into the chains of up to 14 required to qualify as "drop-in" biofuels for jet fuel. Both options are available with social and economic allure. The agricultural market might seem smaller, but it has a very large carbon footprint, and turning acid whey into a feedstock that animals can eat is an important example of the closed cycles that we need in a sustainable society, the fuel market, of course, operates at a lower price, but its demand is virtually unlimited. Suppressing oxygen while feeding microbes with biodegradable waste traditionally leads to the production of methane-rich gas via anaerobic digestion. The researchers instead strung together two "open-culture" reactors. The first was tuned for heat-loving microbes fond of temperatures of 50 °C, and the second set at a more welcoming 30 °C mark. After seeding each of these reactors with an earlier studied microbiome, and then opening the setup to the acid whey and its very own rich collection of bacteria (such as popular gut microbiota from the Lactobacillus family), caprylic acid, caproic acid, and various minor products could be repeatedly extracted over a span of several months. The upcoming challenge will be to observe what happens when the twin bioreactor system is boosted in order to pilot plant capacity. There is much more that can be done to optimize the extraction process and to scale up in an economical way, we can also learn more about the nature of the microbiomes and the biology involved and start investigating whether this technology can be translated to other waste streams.